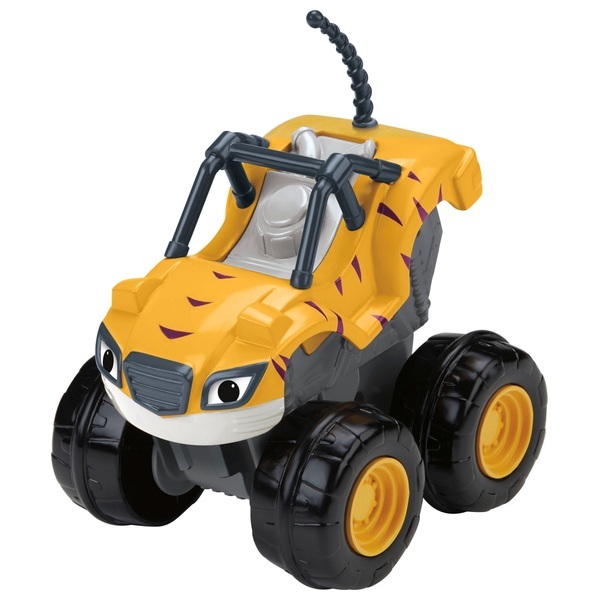 Nickelodeon’s Blaze and the Monster Machines Slam & Go Stripes from Fisher- Price are ready for race day! Hope you are ready for some high-octane action! Press down on Stripes, this race-ready vehicles to watch them speed off!